They say a picture is worth a thousand words. But how is this relevant to your business? Well, if you’re looking to leverage the power SMS technology, the most effective platform for communications today, this is particularly poignant as an SMS message is limited to 160 characters. While this is an ample amount for most bulk SMS campaigns, MMS (Multimedia Message Service) allows marketers and businesses to communicate their message using a variety of rich and dynamic media content such as images, audio and even up to 40 seconds of video to recipients. In the visual age we live in, where people are far more likely to retain information that is paired with images, MMS can play a powerful in any mobile marketing campaign. According Dr John Medina, when people read and hear information, they're likely to remember approximately 10% of it three days later. If a relevant image is paired with that same information, people retained 65% of the information three days later. With this is mind, the value of MMS and rich media content becomes a little clearer. But that’s not the only reason to consider this highly effective platform for your next marketing campaign. MMS is essentially an extension of SMS technology, and shares all the same advantages. With the proliferation of mobile, and the ubiquitous nature of mobile phones in today’s digital world, text messages are almost guaranteed to be opened by recipients, with a 98% open rate. Furthermore, 95% of these will be opened within the first few minutes of being received. This is perhaps not surprising given 90% of adults keep their mobile within arms-reach at all times. What does that mean for conversion and click-through rates? Well, according to a study by FunMobility, the average bulk SMS marketing click-through rate is 36%, compared to email marketing, which has average click-through of 3.2%. Like SMS, MMS messages are not only direct, effective and can be accessed by consumers almost anytime, anywhere, they also give marketers and business an opportunity to utilise rich, dynamic content to engage consumers. MMS messages enable businesses to get creative with text-based competitions. One way this could be executed is by using MMS could be used in conjunction with a dedicated number (or virtual number), allowing recipients to text in images to enter and win. 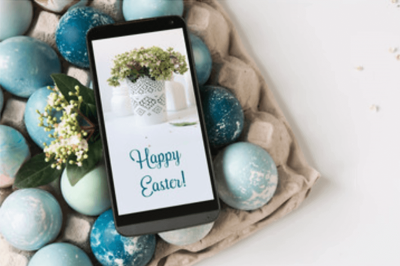 Instead of sending customers and clients a standard EDM for Easter, Christmas and other special occasions, why not try sending an animated MMS? It’s not only far more likely to be opened, and garner a response, it’s also much more memorable at a time when email inboxes are flooded with content. MMS is also a great option for business cards, allowing important contact information to be stored directly into the recipient's mobile device. Given the power of images to engage audiences, why not use MMS for promotional content. This was executed with great success by plus-size clothing retailer, Avenue, who sent consumers promotional content and coupons via bulk MMS each week. According to Dominator Media, the campaign generated an ROI of 6,600% and MMS messages had an open rate of 95% amongst consumers. According to Animoto.com, four times as many consumers would prefer to watch a video about a product than to read about it. Furthermore, over half of all video plays are on mobile devices - a 203% increase from 2014. So, if you’re looking to promote a product or service, sending a video via mobile is a great option! If you’re business has something important to share, why not amplify the news with rich visual and/or audio content? It’s not only far more likely to be remembered by recipients, but is generally much more engaging. While benefitting from the same high open and conversion rates as SMS, MMS messages are an engaging, dynamic and memorable alternative to the standard text message. By incorporating MMS into your mobile campaign, you’re leveraging the most direct and effective communications platform available and combining it with the richest content possible.